It’s times like these when I’m glad I was gerrymandered out of Ohio’s 4th Congressional District. 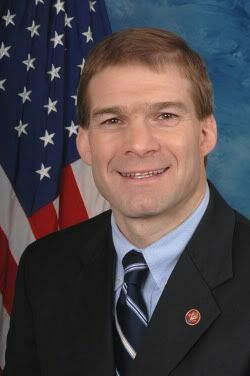 Republican Jim Jordan is a cheap labor conservative who wants to punish poor people for being poor. He claims he wants to ‘cut the deficit’ but he recently showed he still doesn’t know how food stamps work. This entry was posted in Politics, Progressive and tagged cheap labor conservative, food stamps, Jim Jordan, Ohio 4th Congressional District, SNAP, social safety net, working poor on April 23, 2018 by Doug. I’m sure many people have some evil thoughts about going to work, especially after what seems like a too short of a weekend. 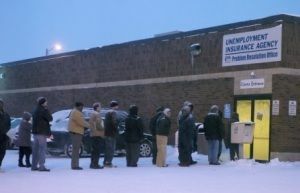 ‘Why don’t I just go on welfare so I don’t have to work. I want to lay around all day drinking and popping out kids to get more welfare. It has to be easier than my life.’ Those of us who actually have experience with public assistance knew welfare didn’t make all poor people lazy moochers looking for free stuff. Now some actual research backs us up. This entry was posted in Culture, Politics, Progressive and tagged government aid, public assistance, stereotype, unemployment, welfare, working poor on October 22, 2015 by Doug. A few state legislatures, dominated by Republicans, have not only attacked women with draconian anti-abortion laws but have also attacked poor people by trying to micro manage how they spend public assistance. 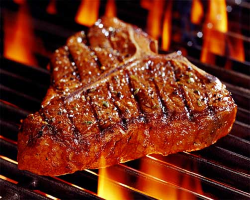 The GOP has the idea that poor people are spending money on steak and lobster and other luxuries. 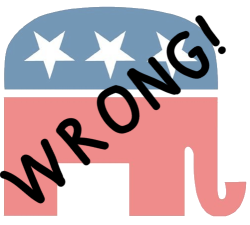 One survey shows they are still wrong. This entry was posted in Politics, Progressive and tagged cheap labor conservative, fraud, GOP, Kansas, Missouri, Republicans, SNAP, working poor on April 14, 2015 by Doug. Normally if someone insisted on doing something even after it was proven they were wrong, that person would have their mental state questioned. Think of a child who keeps touching a hot cooking pot even after getting burned the first time. 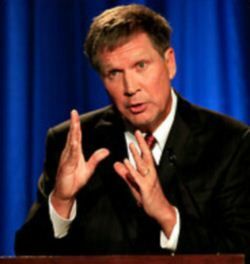 Ohio Governor John Kasich, with he latest budget proposal, is touching the hot pot again trying to use magic math to give the 1 percenters a huge tax break while hurting the poor. This entry was posted in Politics, Progressive and tagged 1%, budget, John Kasich, local government funding, magic math, Ohio, poor, progressive taxes, regressive taxes, sales taxes, tax cuts, taxes, voodoo economics, working poor on February 10, 2013 by Doug. I posted an essay on Daily Kos that gives my simple logical reason Republicans and their inhuman policy ideas are wrong for this country. Please check it out. It is a really good essay. This entry was posted in Life, Politics and tagged 2012 US Presidential Election, cheap labor conservative, compassion, discrimnation, food stamps, income inequality, lazy poor people, Mitt Romney, Paul Ryan, TANF, unemployment, welfare, working poor on October 26, 2012 by Doug.